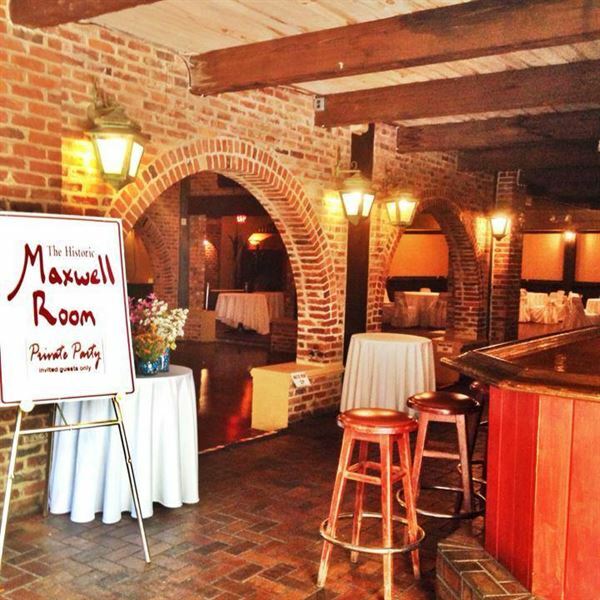 The historic Maxwell Room is one of the oldest, fêted sites along the New River in downtown Fort Lauderdale, Florida. Our unique venue features a dedicated dance floor and 40-foot-long pub-style bar, separate dining area and lounge. It is ideal for wedding receptions, anniversary and birthday parties, rehearsal dinners, corporate functions and more for 30 to 150 guests. The package includes: • Buffet Brunch - Fresh fruit, granola, yogurt, scrambled eggs, breakfast potatoes, bacon, sausage, cheese grits, biscuits, sausage gravy, waffles or pancakes, coffee and juice station. • Soda, Coffee and Tea Please review our attachment for detailed information and menu selection. The package includes: • 4 hour call brand bar • 1 hour of passed appetizers • Choice of 2 entrees or 1 duet • Champagne Toast Please review our attachment for detailed information and menu selection. The package includes: • 4 hour call brand bar • 1 hour of passed appetizers • Veggie and cheese display or fruit and cheese display • Choice of 2 entrees or 1 duet • Champagne Toast Please review our attachment for detailed information and menu selection. Select from the following lunch menus: • Salad Buffet - $16 per person • Casual Lunch - $18 per person • Plated Luncheon - $25 per person Please review our attachment for detailed information and menu selection. • All dinner entrees served with side house salad or side Caesar salad and dinner rolls. • Two entrée choices - $35 per person • Three entrée choices - $45 per person Please review our attachment for detailed information and menu selection. The Downtowner Saloon has revitalized The Historic Maxwell Room (“Maxwell Room”), one of the oldest, fêted sites along the river in Fort Lauderdale, Florida. The remodel provides the 17-year-old restaurant access to 2,624-square-feet of waterfront event space available for catered events, corporate functions and weddings for up to 250 people. Atmosphere/Decor: Nestled alongside the picturesque New River and a short car or water taxi ride away from Las Olas Boulevard, the Maxwell Room boasts an ample bar, Balinese-inspired lounge seating, state-of-the-art audio system and dance floor. Special Features: Private parties are permitted to book third-party catering companies or utilize The Maxwell Room’s in-house food and beverage services provided by The Downtowner’s professional culinary team. Customized menus are also available.